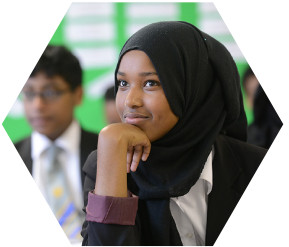 Transforming young lives by unlocking potential, raising aspiration and developing the skills for success. Growing and nurturing a culture of enterprise across our network. Helping our young people to create opportunity and generate prosperity for themselves and their communities. To grow our unique cross-phase education and employer network in Birmingham, focusing on skills, employability, innovation and sustainability.